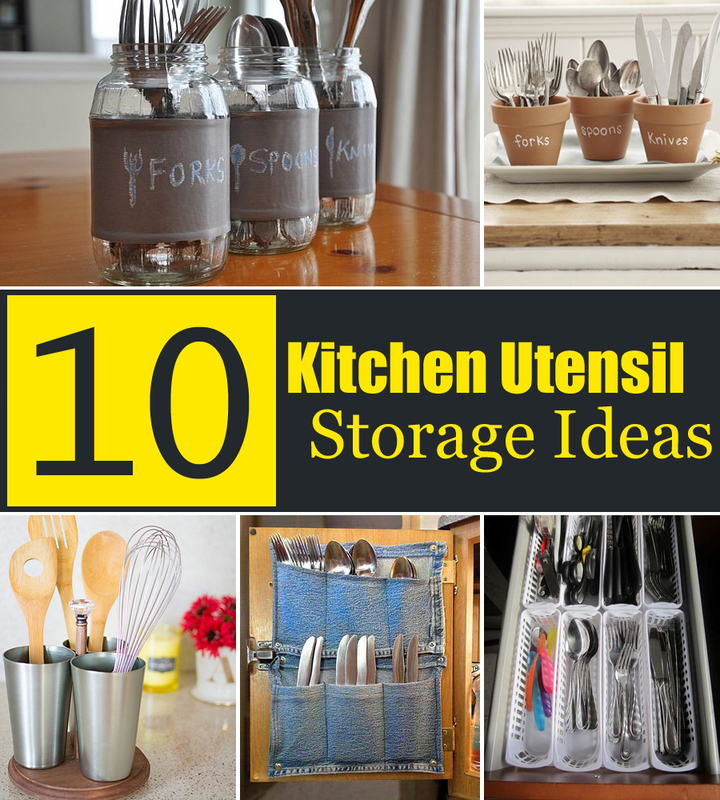 Utensils are must in the kitchen, however they are also usually source of clutter in the interior, if you fail to find a right storage. 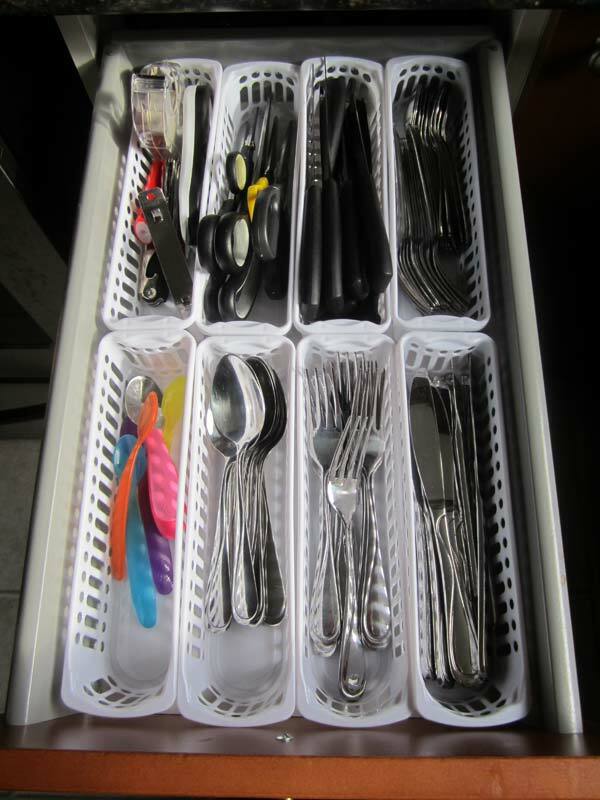 Utensils are kept in the standard way, in drawers in the kitchen. 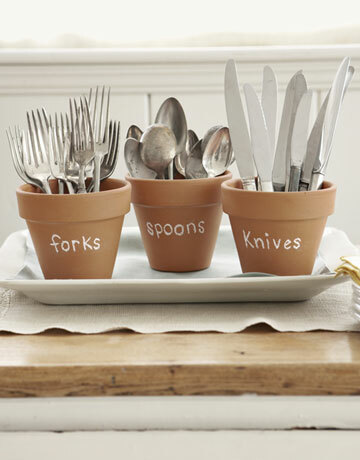 However in every single utensil drawer you’ll find mixed spoons with forks and knifes. 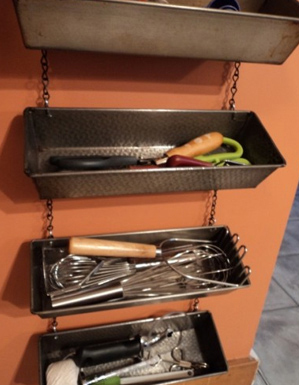 So to help you out of this mess we found clever and creative kitchen utensil storage ideas. Check them all! 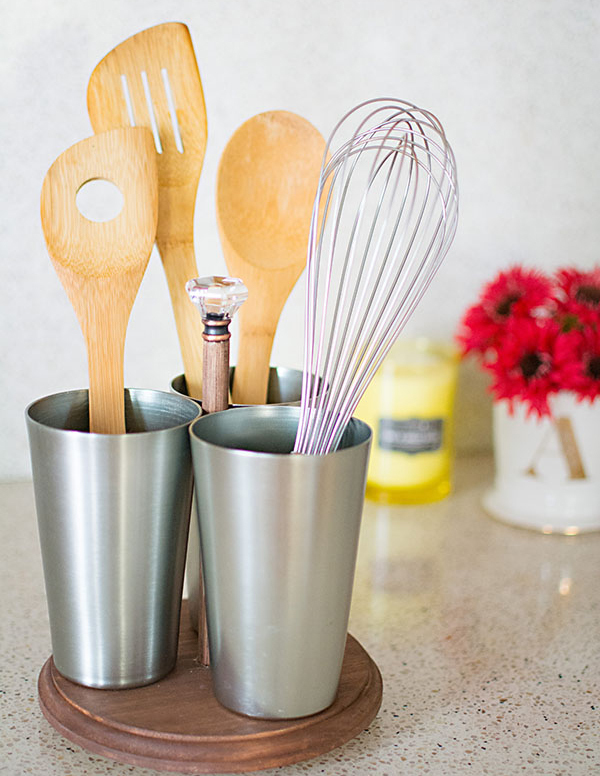 Make customized utensil caddy that rotates! 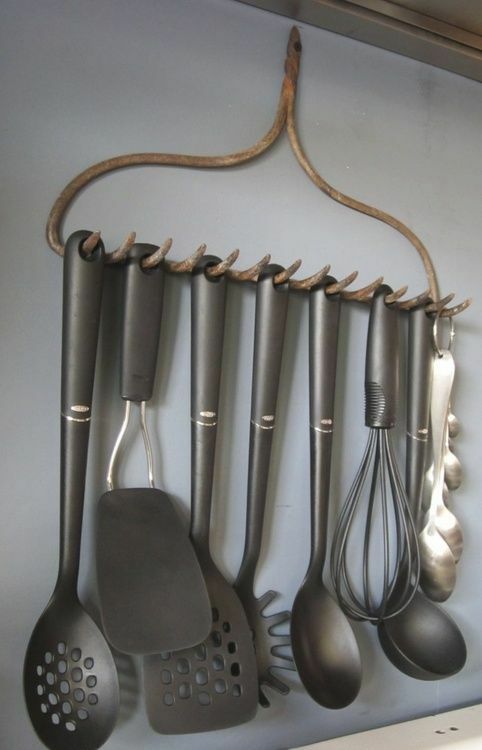 Stylish way to display your favorite and useful kitchen utensils. 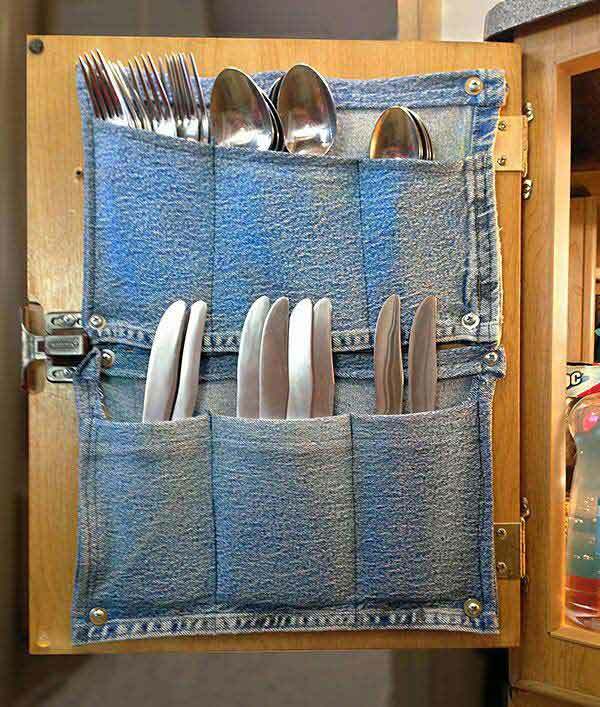 Make this cute pockets for your flatware attached inside of a cabinet door, just by using one leg of an old pair of jeans. These rustic tins look fresh when filled with shiny silverware. 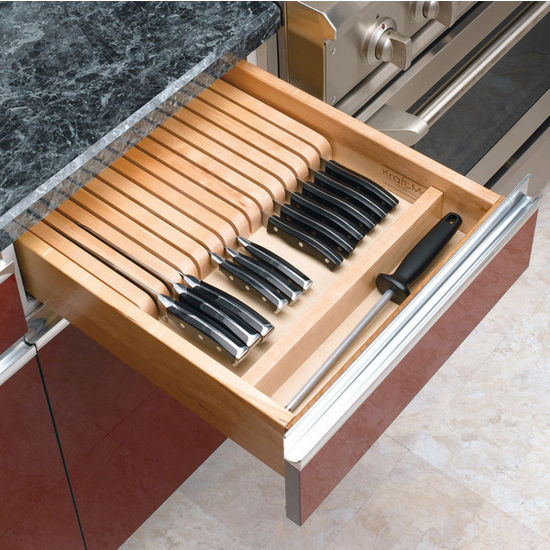 Keep your knives organized and separately from other utensils. 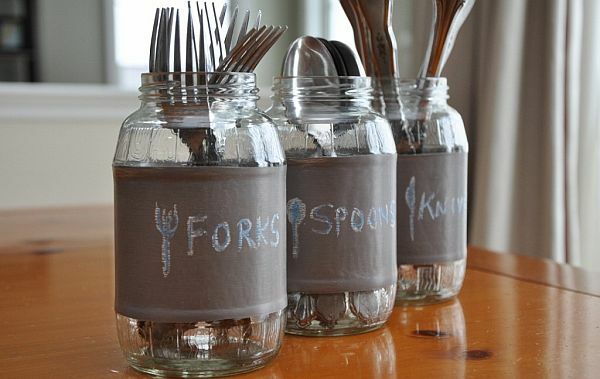 Jars also can be repurposed to store your kitchen utensils. 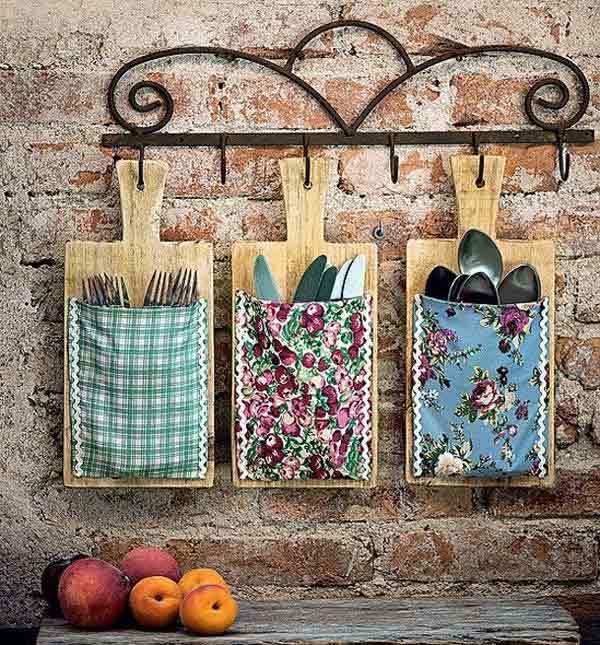 Cute and practical. Just some little baskets from the Dollar Store and VOLIA, it functions so much better! Not only performed its main task, but it also looks great! Attach it on the wall and use the teeth as hooks. 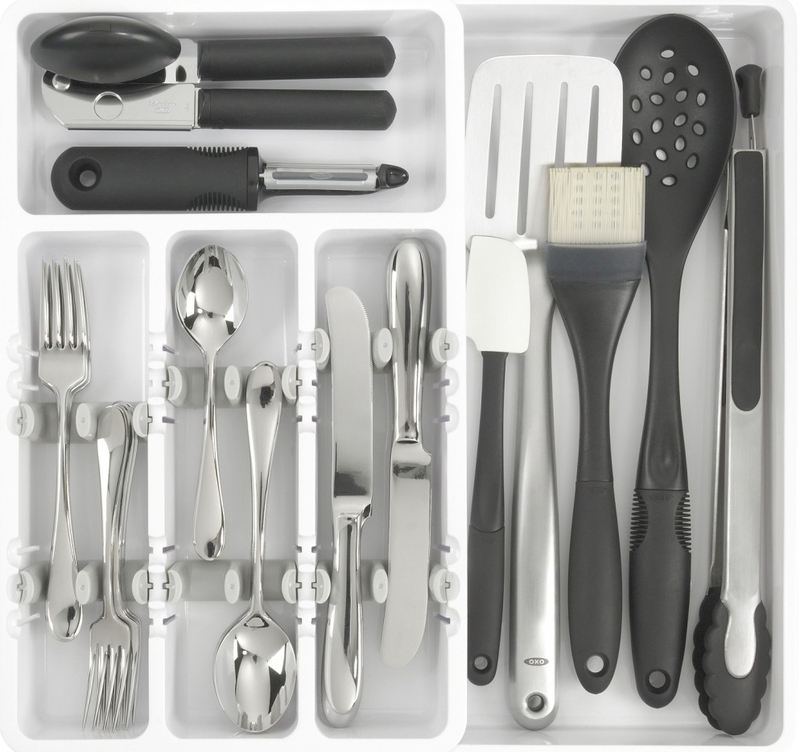 Special adjustable clips help fit and hold your silverware constantly in place and separated in the same compartments.